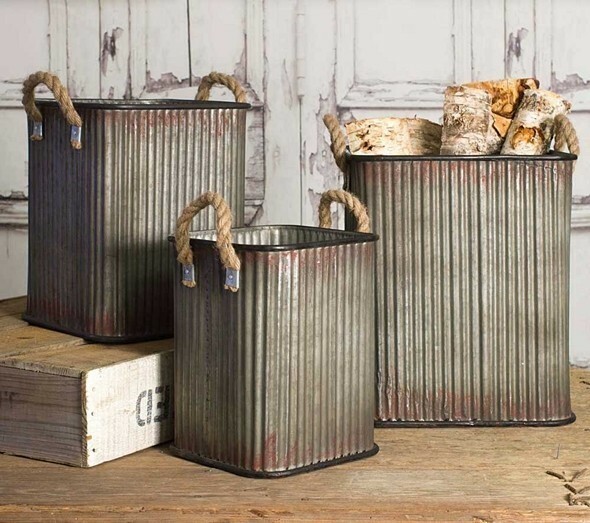 These sturdy corrugated-metal storage bins feature rope handles and the three (3) bins can nest within each other. PLEASE NOTE: Pictured wood-pallet and contents of the bins are not included. Sold as a set of three (3) and prices quoted below are per set.